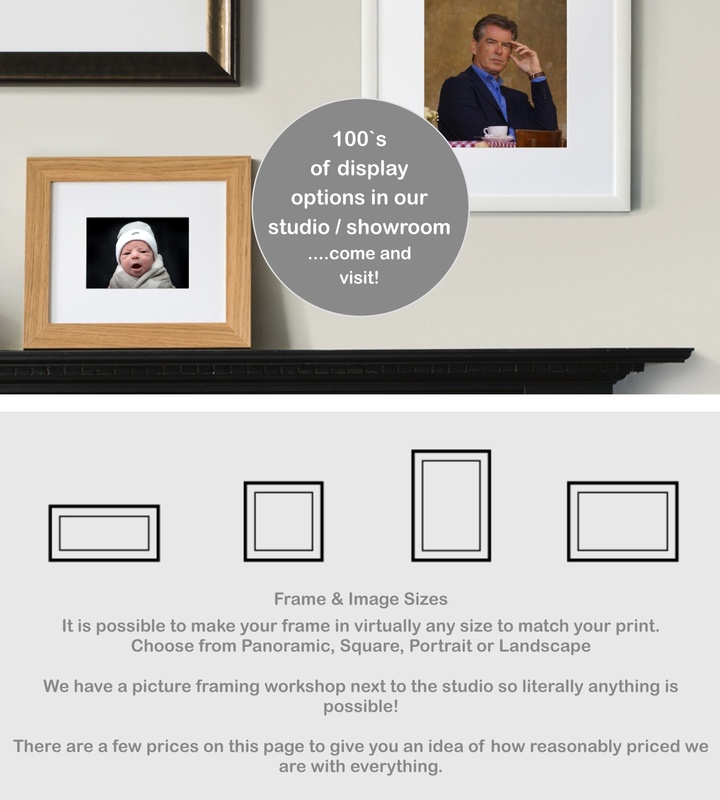 There is a picture framing workshop next to the studio so there are many options for framing but to keep things nice and straight forward the choices are listed here but if you have any specific ideas please get in touch. We use Fuji Professional Crystal. Archive DP2 photographic paper for stunning colour reproduction.